A compilation of a few of my favourite things from the last month! 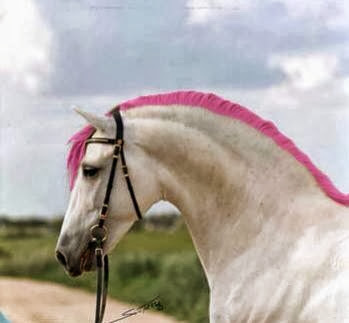 This awesome hairdo that I have NO IDEA where it originated from, though someone on the FB fanpage said: "I believe this is an old photo of The General, an Andalusian from Colorado"
This guest post is from Scherry Clarke, who has a pretty incredible horse story when it comes down to it. 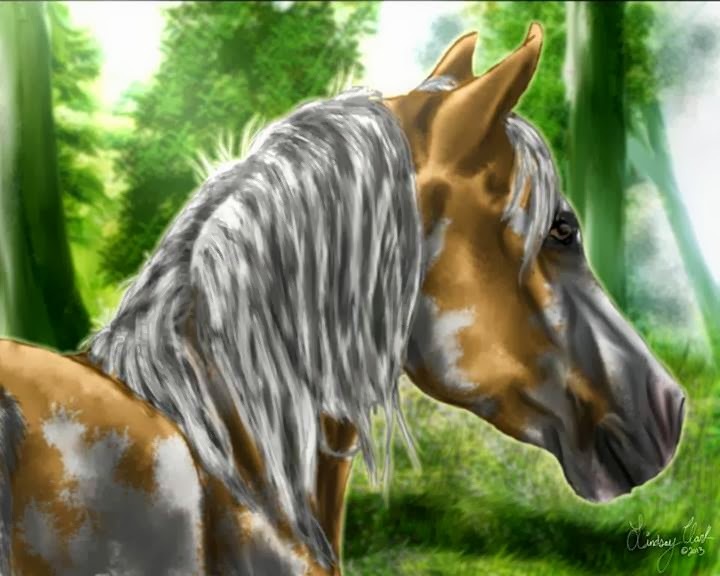 She also makes some really neat equine themed skin care products @ Aviemare Body Care. 1. They had to fit well along my entire leg. This is no small requirement because I have short legs with large calf muscles. This unfortunate combo means that my calf starts getting wider lower on the leg. If a boot fits on my lower leg it usually gaps around my upper calf. 2. They must be real leather. I refuse to pay $100+ for plastic/pleather or "synthetic" boots. 3. They must be versatile. I wanted a boot that could be used for riding, hiking, general outdoors, or even dressed up with a great tunic, tights and a scarf. 5. They must not cost over $400. This seems high but you get what you pay for. I don't wear junk. I have too many foot issues to do that to myself anymore. Good boots are worth saving up for. This boot fit all of those requirements. I won't rehash the description. Rather, I will give info that the description does not tell you. HEIGHT: Nowhere in the description do they mention how tall this boot is. I could not find it ANYWHERE on line and nobody responded to my inquiries. I do not know if the height increases incrementally with size but my boots are a size 9 UK and 15.5 inches tall. CALF FIT: This particular model is called the Ash. It adjusts from about 17 inches to 20 inches. 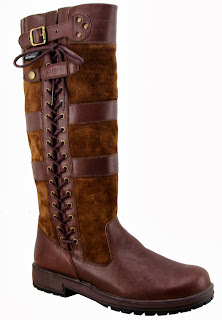 The 3 inch gusset runs the entire length of the boot so as your leg widens and enlarges the laces can be adjusted. The top part of the boot has a buckle for adjustment. The buckle can be unsnapped from two different positions to further customize fit. There is a small leather piece that snaps over the laces to keep them in place. Plus it looks snazzy. COLOR: Very attractive two-tone brown. Pretty much true to my monitor. EASE OF PUTTING ON: I was concerned about this due to high insteps but was pleasantly surprised. I only had to unlace to boot a few holes and my entire leg went right in! SIZING: This might be your only glitch. Every chart for international sizes said something different. I wanted to pull my hair out. I wear a straight 10 in most US sizes; an 11 with some brands such as Earthies Euro sizes get trickier. In Dansko I wear a 41 which is 10.5-11 in US. In some Euro sizes I need a 42. I always check each brand's charts. In boots I like an 11 in case my injured feet/ankles swell. So I got a size 9 UK which supposedly corresponded with an 11 US. It did NOT! The box actually states 11.5 US. However, I put a good pair of Spenco inserts in the boots and a thick footie/sock on my foot and they fit very nicely with room to wiggle my toes. I MUST have this room because my toes go numb if they are crushed. So it worked out fine. Because these boots come from the UK I would email the seller with ANY questions. I would also err on the side of the boot being a bit larger than too small. One size larger can usually be fixed with orthotics insoles and/or socks. HOW THEY FEEL: I wore them for a about an hour walking around our olive grove then took my horse for a walk. They were comfortable right out of the box. The top part of the boot is sturdy yet soft and flexible enough to not bruise the daylights out of my high insteps. This was a huge relief. DUTY/IMPORT TAXES TO US: Another slight snag. I have never ordered internationally so this was a new experience. The boots came a full week early from the date Amazon emailed me and I was asleep. I got a note on my door from UPS saying I owed $26.13 in fees. I was not informed by Amazon, UPS OR the Seller that these fees would be due at the time of delivery or how much they would be. Luckily I was able to contact UPS and the driver stopped back by before leaving town. UPS likes a check for the fees. They won't accept cash. I have no idea how one can find out how much the Duty/Customs fees are ahead of time. I will have to research this more if I make more international orders. I could NOT find a US seller for this boot however so I had to buy from the UK. BOTTOM LINE: A sturdy, stylish and functional boot that has multiple uses. Water resistant. Total cost of boots, shipping and duty/import fees: just over $300. Worth every penny as I feel these boots will last a long time if properly cared for. Note: the boots can be found to purchase HERE. Listen up, ladies... - and men, too - because this might be important for you to read as well! This might not be popular. And I might be crossing the line into a bit of "feminism" here, too. I try to repost as many relevant things as I can on the Facebook page, but I can't post internet memes about "real women" having specific body parts. You've seen them... they are usually colourful and feature some womanly icon who isn't a size 0 and they say things like "Nobody wants a steak that is all bone so why would a man want a woman without a little meat?" and "REAL women have curves", and a variety of other things that speak about your validity and desirability as a woman based on your physical attributes. Here is the thing - real women are fat and skinny, tall and short, have hair on their face and smooth, hairless bodies. They come in every shape and size, nationality and personality. 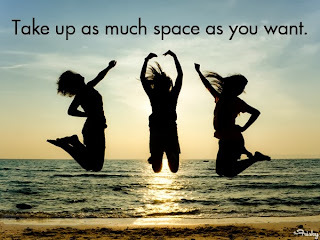 Even though we, as fat women, have been told by society (and sometimes even the people in our lives that are supposed to love and care about us) that skinny women are better than us - more desirable to men, more successful and more attractive - indeed, more "womanly" than us, the answer is not to try to juxtapose ourselves as better women than anyone. I do not want to be more woman than anyone. I just want to be a woman, recognized and appreciated as such, whether I weigh 100lbs or 400lbs. The amount of fat and weight that I carry on my body has absolutely nothing to do with the gender with which I identify. 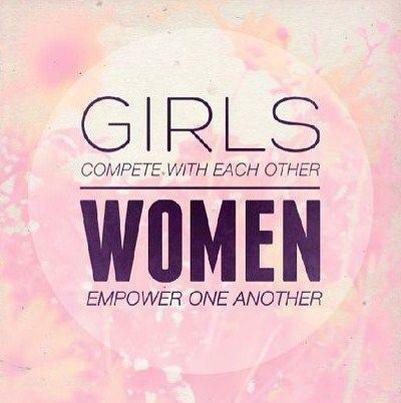 I do not want to marginalize or ostracize other groups of women in order to make myself feel better. Don't get me wrong... it is understandable to want to do so. I know why it is easy to do this. For your whole life, likely, people have seen fit to comment on the state of your body without your permission like you are not even a human being let alone a powerful, wonderful woman. I've mentioned before that I was once looking at a sales rack in a clothing store when an elderly man approached me to remind me that I couldn't fit into any of those clothes and shouldn't bother looking. Yes, these sorts of things made me angry. They made me want to hurt someone the way that I was hurt. But let's think about it this way - you know you have that friend on your Facebook page that once in a while posts something derogatory - probably one of those "some ecards" internet memes that make some sort of commentary about a fat person in Walmart, or whatnot. You know they didn't mean it for you because, well, obviously they are your friend... but a part of you feels badly and it stinks because you feel like you don't have a right to say anything because it wasn't directed at you. When you start posting the comments about "what man wants a bone? ", you are certainly making someone else feel the same way you feel when you see derogatory comments about fat people - and if you're a half decent person - why would you want to make someone else feel that way? People, and specifically women, are sometimes fat or skinny despite their best efforts, because of genetics or medical conditions or sometimes because they just want to be. You don't know the passage of their life, you don't know how or why they are where they are or look the way that they do, and assigning "bad" to skinny is no better than them assigning "bad" to fat. And that is why I don't allow any "better than" talk on my Facebook page. 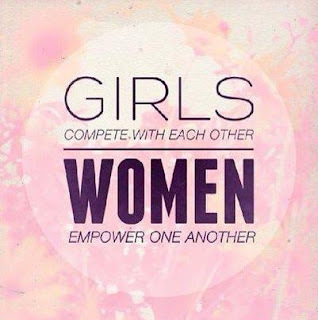 Because we don't have to be better than to be good, wonderful, authentic, marvelous women. 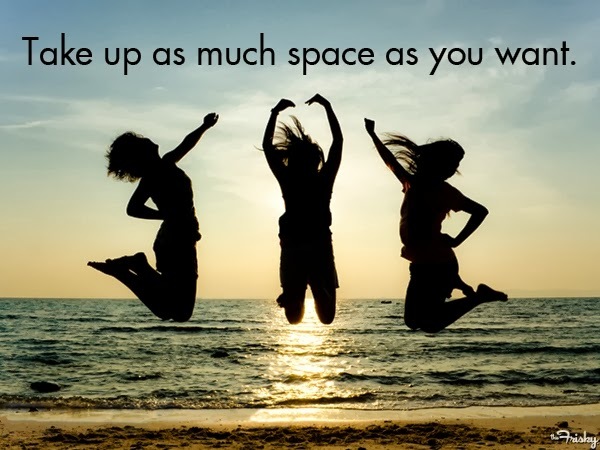 We are all enough just exactly the way that we are. I am pretty fortunate to have at least one horse that is a good drinker. 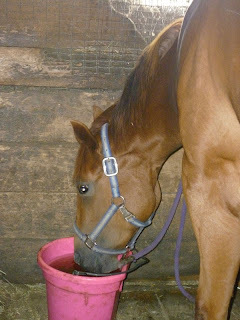 So good, in fact, that I tend to rarely actually see her drinking at home - she seems to have no qualms about water quality or flavour and is always hydrated. For those that don't have Bronwyns, meet EquineAid, a product that, per their website, has changed the old adage that you can lead a horse to water but you can't make it drink. The ingredients in Equine Aid are all human grade--organic, non-GMO alfalfa, molasses, brown sugar, and pink Himalayan rock salt--and are consumed by horses on a regular basis without any adverse effects. Soooo... since it said it was human grade ingredients, before I offered it to my horses, I did what I usually do - I tasted it. I lived! 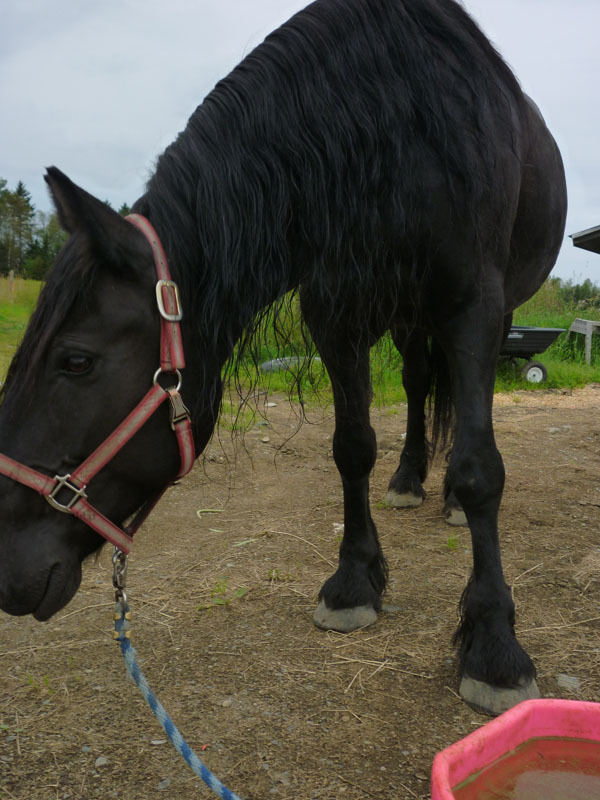 It tasted a bit like black licorice, actually. Overall, I found the presentation of the product - both the packaging and the product itself - to be neat, clean and professional - just the way I like most things. 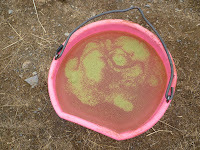 The instructions for use on this one were obvious - mix with a bucket of water and offer to horse. 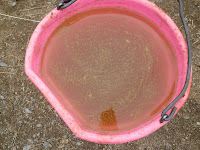 I did find it didn't dissolve into the water as quickly as I would have liked but there were no adverse affects as a result of it - kind of when you put cocoa in milk or water - maybe mix or shake it into a small amount of water prior to mixing it into the larger bucket. Bronwyn, who actively ignored it. And Rex, who was interested, but not interested enough to drink. 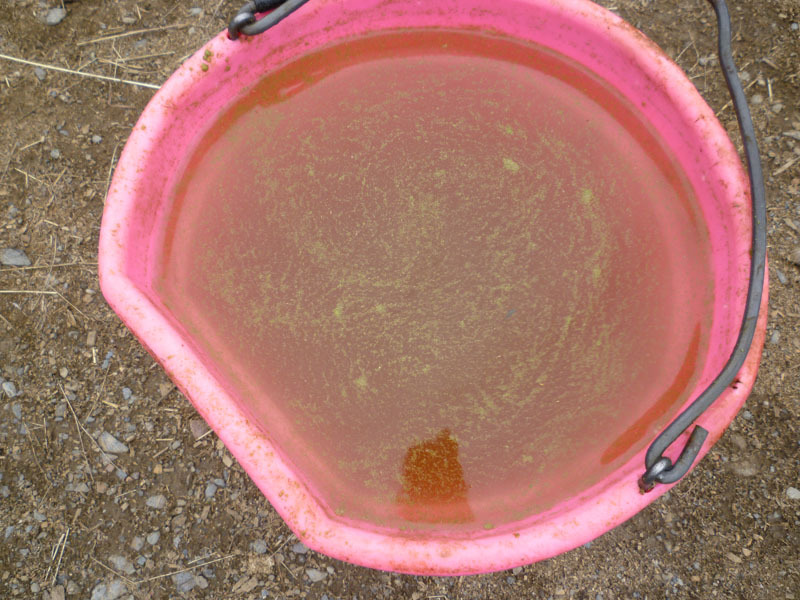 As I did this outside, I thought perhaps it was the "you can lead a horse to water but not make it drink" thing, so offered it inside, in their stalls... which was met with similar disinterest. 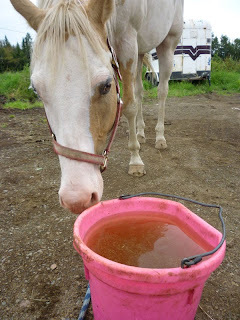 They weren't interested in straight water, either - so it leads me to believe that it had nothing at all to do with the EquineAid in the water, and everything to do with that they just weren't thirsty. To be fair - the website recommends that you feed it dry on top of their feed to get them used to the taste and in their water at home so they will drink it off property as well, which makes sense. 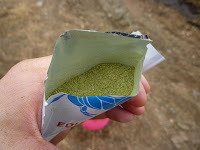 I can't say for sure if things would be different if I offered again, but I do have other samples and plan to give them a shot when I have actually taken one of my kids out and worked them - so they ought to be thirsty. My overall verdict? 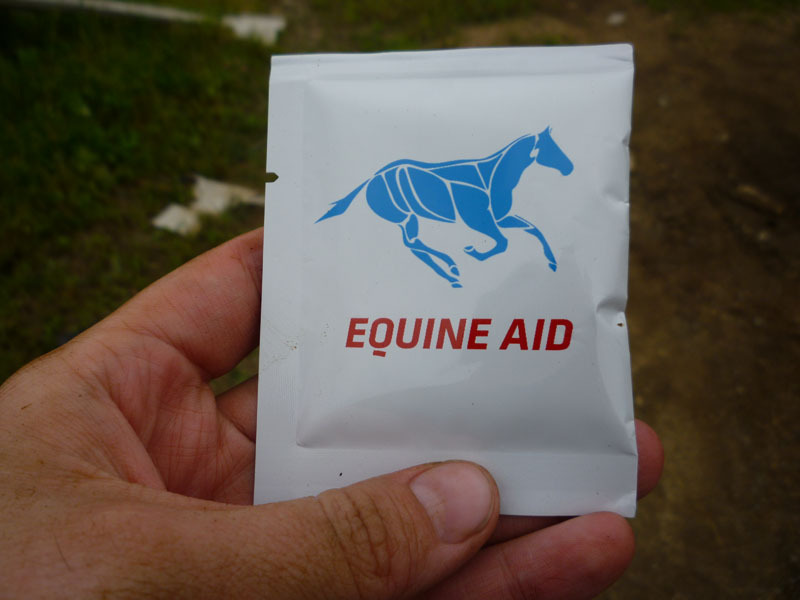 If you have a horse who is a picky drinker (and we all know them), EquineAid can be ordered for $1.99/pouch or $25 for 30, which, as someone who doesn't venture off property very frequently, I find to be pretty reasonable.